Kitchen managers often think that their health & safety inspections are over after they find that the worktops are clean, the pots are bright and shiny, and the filter banks are grease free. They may be completely unaware that the biggest hazards may be invisible to them, higher up in the hood and ventilation system. If these areas do not receive regular inspections and maintenance performed by professionals who understand these systems and who are committed to doing a thorough job, it’s only a matter of time before serious problems will arise. Here is a case in point. Recently, as part of our “Inspecting Commercial Kitchen Systems” two day seminar, I was leading a group through a site inspection of a CKV (Commercial Kitchen Ventilation) system. These site inspections are often the highlight of our seminar and receive rave reviews because they bring theory into crisp perspective. We were discussing the importance of getting up inside of the system, and looking behind the filter bank through the plenum area and into the lower ducting. Upon doing so in this case, we discovered that the extraction system was seventeen years old. We found a damper and decided to check it for functionality. At this point you may be thinking, “No big deal. There are many systems out there this age or older with dampers in their CKV’s” and you would be right. However, a fusible link held this one open. There was no record of inspection of this link since the time of commissioning. Why? Because it was not on the maintenance schedule. So why was this a problem? The fusible link was still intact, and theoretically would have closed the damper in the event of overheating despite being seventeen years old. However, the N.F.P.A. 96 Standard requires replacement of these CKV damper fuses every six months and for very good reason. These systems are “dumb”. 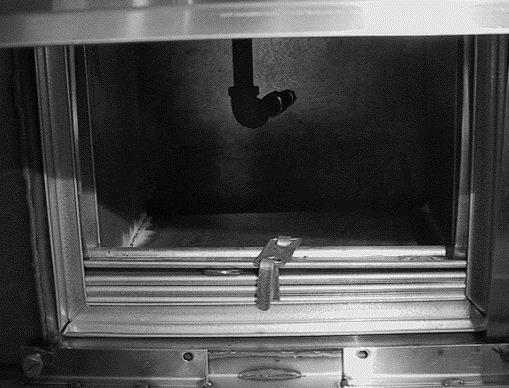 If a fusible link breaks as a result of old age, or fails for any other reason during the cooking process, the damper shuts down, and the H.V.A.C. returns the vapor, gas fumes and smoke from the cooking process back into the facility. Obviously this is a big problem. In this event, under normal circumstances, a trained kitchen staff would activate their fire alarm, turn the gas and electricity off and vacate the room following a rehearsed procedure. However, this particular kitchen was in a day-care facility for small children. You can imagine the panic and potential for serious injury that a rushed unrehearsed evacuation might cause. Remember,we are dealing with small children here. This case study demonstrates a major problem with CKV kitchen exhaust systems. An expert may succeed in a proper installation but may fail when it comes to technology transfer training. In other words, he may not clearly explain to the facility owner how they need to be maintained (ie. There is a damper and a fusible link that must be inspected). Even if they do, the facility owner may not follow through or pass the information along to specialized maintenance personnel. Inspectors may then fail to conduct an in-depth inspection, identify the problem and report it to the owner. Either way, the end result is the same and is all too common, the CKV contains a hidden hazard that poses a real health and safety risk. The requirements of the governing codes are paramount in the protection of life and property. It is vital that facility owners and inspectors know the different components of a CKV system, along with proper inspection techniques. 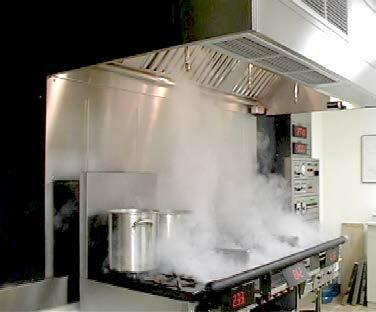 The dangers involved with commercial cooking systems are many. As is illustrated above, you do not necessarily have to have a fire in an exhaust system to endanger lives. 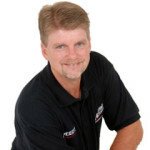 As a lead instructor, Speedy has traveled throughout the US, Canada, Europe and Asia teaching Phil Ackland’s “Inspecting Commercial Kitchen Systems” course. As a subject matter expert, he is a main contributor to Phil Ackland’s “Inspecting Commercial Kitchen Systems” reference manual. Phil is a member of the NFPA 96 Committee. He has written severalbooks on inspecting and the investigation of commercial kitchen systems fires. Thousands of kitchen managers, fire inspectors, fire investigators, building inspectors and other industry professionals throughout the US, Canada, Europe and Asia have attended Phil Ackland’s ICC accredited one and two day seminars. Phillip Ackland Holdings offers two main courses focusing on Commercial Kitchen Systems, “Inspecting Commercial Kitchen Systems” and “Prevention and Investigation of Commercial Kitchen Fires” Dates and locations for these seminars are posted and updated regularly on our website. If you would like to have a seminar scheduled in your area contact our event coordinator, Samuel Musico (sam@philackland.com). Phillip Ackland Holdings offers industry leading commercial kitchen fire investigations as well as expert witness testimony. Law firms and insurance companies call upon us to support and win their cases. Contact us at info@philackland.com to request a current rates sheet. Please email us at info@philackland.com if you have suggestions, or points you would like to see included in this post.